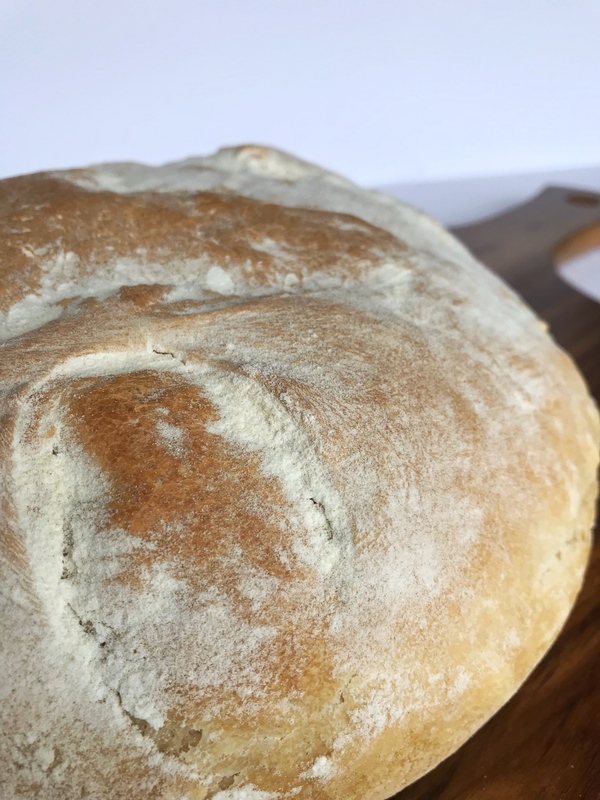 Sourdough bread is unique, it does not require any added yeast! It uses the fermentation of the sourdough starter to make the bread rise and give it the signature “sour” flavor. Did you see our post earlier this week about how to make your own sourdough starter? You are going to need it to make sourdough bread! 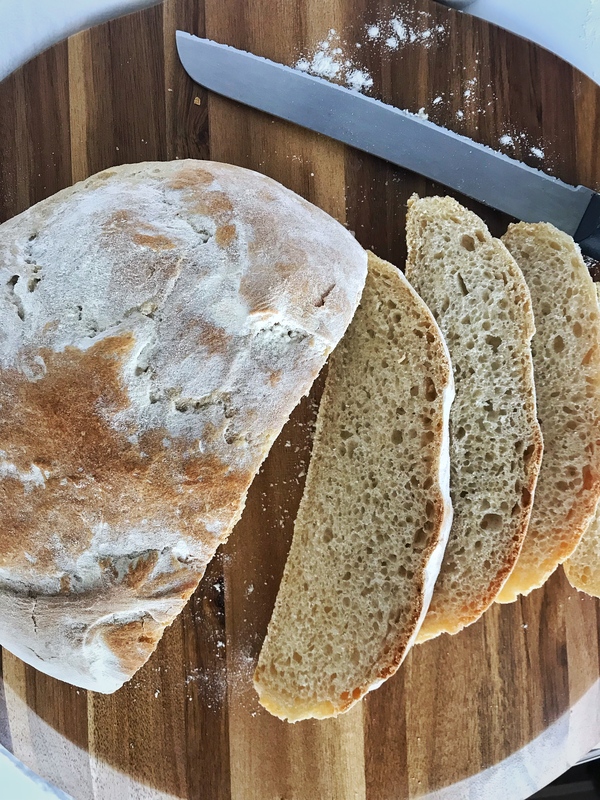 Like the starter recipe, this bread recipe is also one of the bread master Paul Hollywood’s recipes. Sourdough bread is not difficult to make, it just takes a little patience while you wait between rises. Combine flour, starter, and salt in a large bowl. Add seven tablespoons lukewarm water to the mixture and stir together. You should have a soft dough, if it is still dry, and an additional tablespoon of water. Tip the dough onto an oiled work surface—I like to use a cutting board. Knead dough for 10-15 minutes until the dough is smooth and elastic. Place the dough into an oiled bowl and cover with saran wrap. Put the bowl in a warm place and let rise for 5 hours. I like to heat my oven on to 170 degrees Fahrenheit, place my covered bowl inside, turn the oven off, and leave the dough the rise. Punch your dough down, knocking the air out. Knead the dough again for 2-3 minutes until you feel the dough start to tighten up. Shape the dough into a ball and dust with flour. Place into baking dish and leave to rise uncovered for 4-8 hours. Reduce heat to 400 degrees Fahrenheit and bake for an additional 15-20 minutes. Remove loaf from pan and cool on cooling rack.